Flashpoint Campaign giveaway! 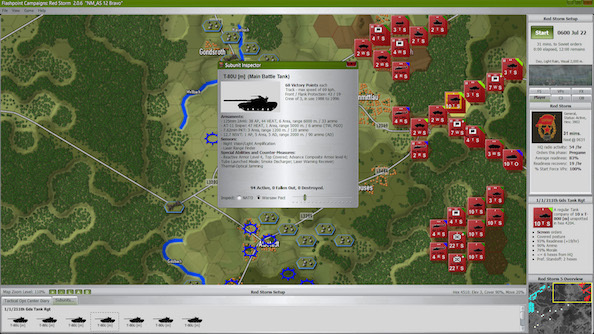 Win one of 10 codes for this tactical wargame, worth $49.99! Flashpoint Campaigns: Red Storm is a hex-based operational wargame, taking place in a fictional World War III after the Cold War gets, well, a little bit too warm. You play as commander of either NATO forces or the Warsaw Pact as you battle through 1980’s Europe across two campaigns and over 20 gameplay scenarios. Competing against a competitive and aggressive AI that will exploit every bad decision you make, Flashpoint Campaigns is an intricate wargame that requires precise tactics and quick thinking on the battlefield. We’ve got 10 copies of this extravagant strategy game, worth $49.99, to give away, and all you need to do for a chance to win is enter via our widget below. Each action is worth one entry, so the more you enter the more chance you have to win. We’ll also need your email, but not for anything fishy – we just need a way to contact you should you win a code!